Christmas Wish: Donors step in to help 12-year-old supply gravestone for his best friend. Kaleb Klakulak, 12, has a wish for Christmas — he wants to buy a gravestone for his best friend’s unmarked grave. Kenneth “KJ” Gross, 12, died May 1 from leukemia and heart failure; his mother was unable to afford a gravestone. Kaleb, who met KJ in second grade, has been working odd jobs and redeeming pop bottles to gather money for the gravestone. It was reported that he already has given KJ’s mother $900. Late last week, he got an invaluable assist. David Techner, funeral director at Ira Kaufman Chapel in Southfield, arranged a meeting with Kaleb, his mother, Kristy Hall of Romeo, and KJ’s mother, LaSondra Lorraine Singleton of Warren, and her daughter at Monument Center Inc. in Ferndale. There, Singleton picked out a black gravestone with gray engraved writing. 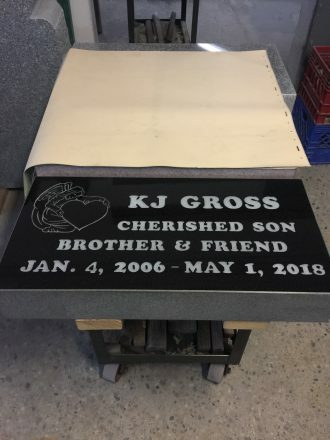 Techner and David Huber, owner of Monument Center, together will supply the gravestone for KJ’s gravesite at Elmwood Cemetery in Detroit and have it placed by Christmas, Techner said. He was moved by a story about Kaleb and KJ’s strong friendship that ran Dec. 6 in the Detroit News. 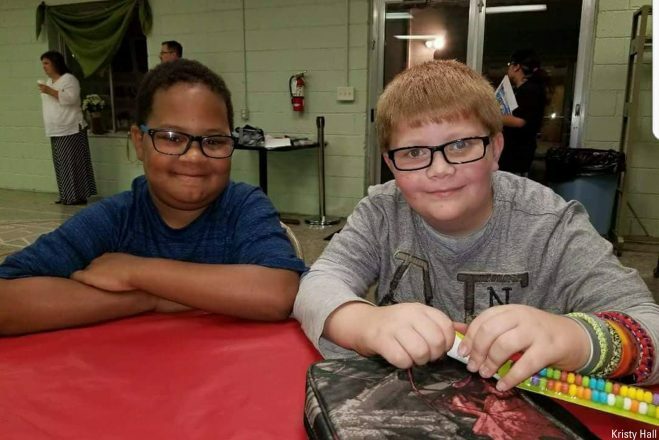 The story, written by George Hunter, described the incredible relationship between the two boys, which included Kaleb coming to the hospital often to visit with KJ to watch TV and play video games. Near the end of KJ’s life, the story said, Kaleb had a doctor’s special permission to visit in the ICU where juveniles usually are not allowed. And there’s another reason. Techner knows the pain of losing a child. His daughter, Alicia, died at 8 months and 1 day. Today, she would have been 41 years old. Techner is grateful for Huber’s partnership as well. Huber and his staff prepared the gravestone quickly. 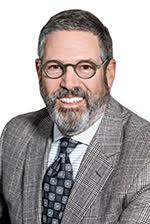 Now, with Detroit Mayor Duggan’s assistance, the gravestone is expected to be placed Wednesday, Dec. 12.